Couple who fell ill in a Salisbury Prezzo restaurant on Sunday were not exposed to a nerve agent, test results have confirmed. A man, aged 42, and a woman, 30, had been rushed to Salisbury District Hospital after they collapsed in the restaurant at around 6.45pm. But now police have ruled out the use of nerve agent novichok and stated that the incident has no connection to the poisoning of Sergei Skripal and his daughter Yulia earlier this year. 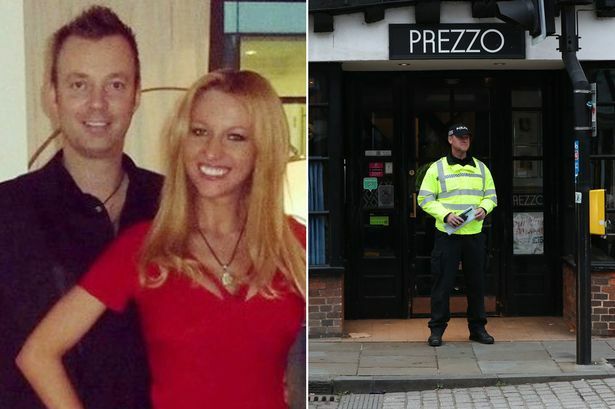 ‘Tests have confirmed that the two patients who fell ill in Prezzo restaurant in Salisbury on Sunday evening were not exposed to any kind of nerve agent,’ Salisbury police said in a statement. The incident sparked fears in the southwest England city after the male diner collapsed in the toilet on Sunday, September 16. Police and emergency services wearing protective suits were quickly deployed to the scene and three roads were cordoned off. People in a neighbouring pub were also ordered to stay inside as the two diners, both still conscious at the time, were treated by ambulance staff. Sources said that the couple had presented symptoms consistent with novichok poisoning, and one eyewitness said on Twitter that she believed they were Russian. Ms Worne said of the couple: ‘The girl, she looked slightly dishevelled, there was something about her, she wasn’t comfortable, she wasn’t relaxed.